As Hollywood continues to choose Atlanta as a prime filming destination—Georgia productions generated more than $9.5 billion in impact last year—actors, crews, and other talent are infiltrating Atlanta neighborhoods and sometimes even setting down roots. Here’s where they hang their hats. 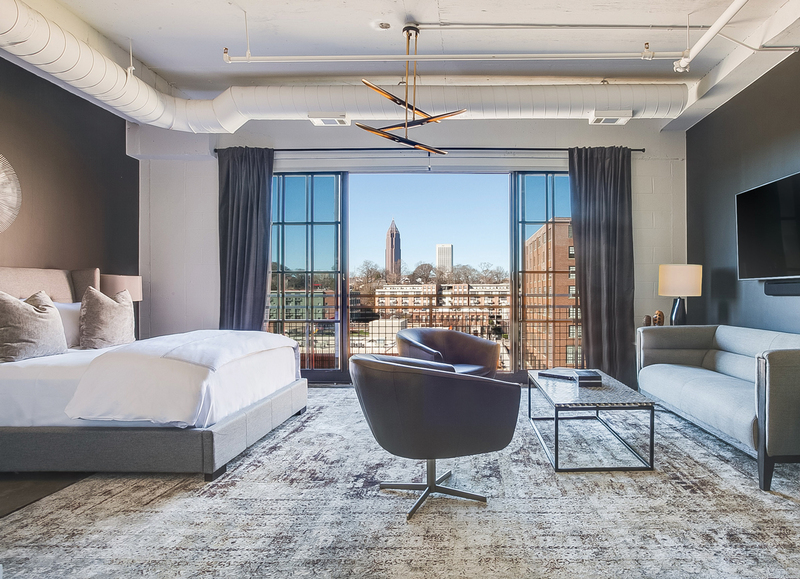 Celebs like Jon Hamm, Ed Helms, and Gabrielle Union have all stayed at the FLATS apartments in Ponce City Market, which has partnered with Atlanta Luxury Rentals to offer 19 units for short-term lease by year’s end (like the Edison loft, above right). Units begin at $5,500 a month and range from studios to three bedrooms. Nearby, Walking Dead actors like Danai Gurira and Andrew Lincoln are known to have set up long-term abodes in buzzing Inman Park. According to Chad Salenius, who runs Atlanta Luxury Rentals with interior designer Minhnuyet Hardy, it’s a popular place for the Hollywood set. Their listings in the neighborhood include an airy five-bedroom home with a gym, theater, and a separate apartment downstairs—ideal for a nanny or assistant. Midtown is another Hollywood hotspot. Donald Sutherland and Helen Mirren are among the stars who have lived in the residences at the Loews Atlanta. Others are opting for the neighborhood’s historic charm. 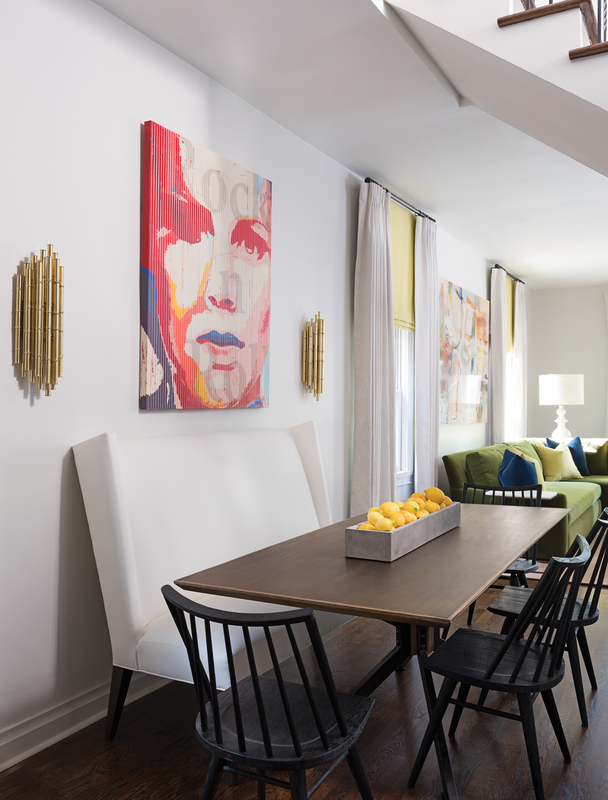 Designers Emily Dunn and Kathryn McAdams worked with an investor to spiff up a triplex on Fifth Street for the film industry (at left). They gave it a pop-art, midcentury vibe and mixed budget and more upscale finds with fabric from Lee Industries, furniture from Noir, and fixtures from Circa Lighting and West Elm. Given its location adjacent to Pinewood Atlanta Studios, the largest movie studio outside of Hollywood, the 234-acre New Urbanist neighborhood was designed with film and TV creatives in mind. Dreamed up by Dan Cathy and planned by Lew Oliver, the community 20 miles south of Atlanta features a range of housing styles, from English country cottages to modern treehouses. It’s still in early phases, but according to the development, industry talent is already setting up camp. Looking to rent your place to Hollywood? Ansley Atlanta Real Estate agent Carter Phillips represents more than 100 industry residences and filming locations, ranging from cozy intown bungalows and Neel Reid estates to a burned-out gas station and a deteriorating library near Dawsonville. You can also list your property for free on the state’s list of filming locations at georgia.org.